- The Temeraire series has been optioned by none other than Peter Jackson, the director of The Lord of the Rings, to be adapted into a movie. I was wondering what if I lived in a different world. What if I lived during the Napoleonic Wars? 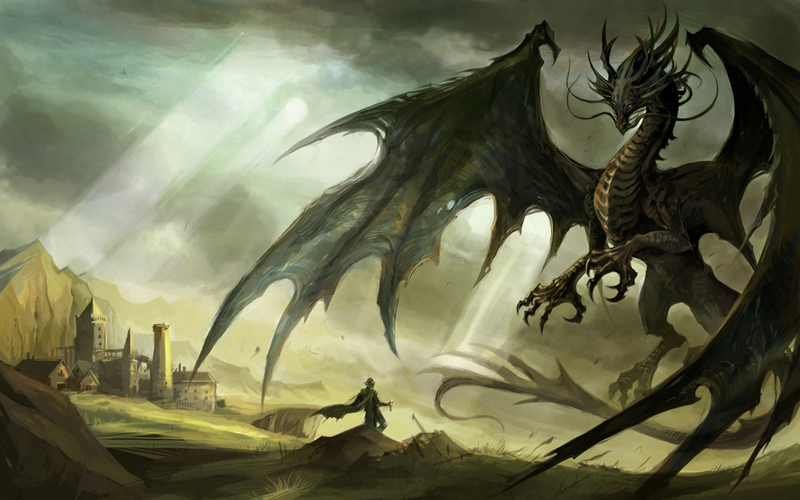 What if during those times dragons do not only exist, but used as one of the ways to improve aerial warfare? What if dragons were not as wild as they were credited for and what if they were as sentient and intelligent, and capable of logical thought and human speech? 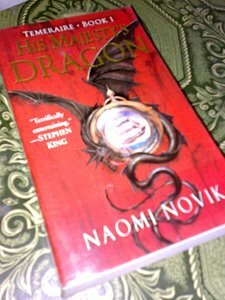 This is the premise of Naomi Novik's first novel, His Majesty's Dragon. The story centers primarily on events involving Temeraire (the titular dragon) and his handler, Will Laurence and how Laurence, formerly a Captain in the British Royal Navy, becomes Temeraire's handler, and their early training in preparation for battles against Napoleon's aerial fleet. When Will Laurence, a former officer of the Royal Navy who had taken part in the capture of Temeraire's egg from a French ship while it was in transit to France, he didn't dream that he will become one of the Dragon Aviators as the dragon that hatched from the captured egg chooses him to become captain. He also didn't even dream that the dragon, christened as Temeraire, would be of a rare Chinese breed, and his capture by the British is considered a great coup. Through the course of the book, Captain Laurence adjusts to his new role as an aviator, rather than a naval officer. Through him we learn how dragons are bred, raised, trained, and harnessed in combat. We are also introduced to the society of the aviators, a branch of the military trained to fight while mounted on dragons. The training of Temeraire and Laurence is rushed so that their unit can assist the navy in preventing a French invasion while the veteran dragon units are sent to assist in the Battle of Trafalgar. Accordingly, the British win that engagement, although Horatio Nelson survives, one of the deviations from our history the series takes. Rather than a tactical blunder, Trafalgar turns out to be a Napoleonic ploy to leave Britain vulnerable to the world's first aerial assault. I will admit to you that I didn't at first like to buy this book for the reason I exactly know not. I tend to avoid going near the book for I have a strange feeling. But weeks later after I trained my mind just to try reading it I was not disappointed for what could be more rewarding than a unique story, great story-telling and like-able characters.